TWtools.co.uk is the website for TW Engineering Co. Ltd who have contracts to supply hand tools, consumables and MRO products to some of the largest mobile workforces in the UK. Available product categories include (but aren’t limited to); power tools, hand tools, insulated tools, PPE, janitorial items, electrical test equipment, consumables (drill bits etc.) and specialist equipment. These are ordered through contracts by various industries including telecoms, energy, gas, water, power generation companies, power distribution companies, their associated contractors throughout the UK and government organisations. Bespoke tool kits can be made up on request for engineers including; overhead linesman, cable jointers, jointing contractors, street lighting engineers, underground jointers, general fitters, site carpenters, builders and home installation engineers with each kit carefully designed and built to their own specifications. TW Engineering Co. Ltd supply in volume to contract customers. 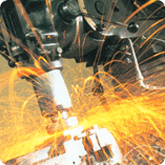 TW Engineering’s website, TW Tools.co.uk is available for those customers to log in for further information on their catalogue. 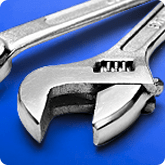 We are able to quote other users who may have hand tool, power tool or other associated requirements. Please submit your details and if the spend is over £75 we are happy to quote and supply. TW Tools’ central location in Derbyshire allows easy transport links not just in the East Midlands but throughout the UK, making weekly deliveries on our transport or trusted third parties to cities including Portsmouth, London and Glasgow. TW Engineering Co. Ltd was established in 1960 purely as a precision engineering company. Today TW Engineering continue to manufacture specialist individual items and prototypes. As well as lathes and milling machines we have a number of CNC machines. TW Engineering has acquired several companies over the years which gives TW the benefit of a unique blend of additional skills and specialist products in our portfolio. In 1986 the Angular Hole Company Ltd was acquired. The acquisition of the Angular Hole Company gave TW Engineering additional capability for specialist spanner and tools manufacturing. In 2006 the acquisition of Ellison Engineering provided TW with a greater range of manufactured products to supply to their customer base and a synergy of customers including the Ministry of Defence (MoD). 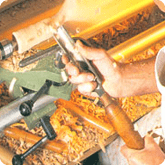 In 1996 TW acquired a local woodworking company called Woodwise. It is unusual for woodworking to be alongside engineering and hand tools but with the wide range of products already manufactured and supplied by TW the acquisition of Woodwise proved to be a welcome addition. TW supply quality hand-made wood products alongside tools, power tools and engineering items to a range of customers including telecoms and the MoD. In 1988 TW Engineering Co. Ltd gained accreditation to an internationally recognised quality management system standard (now ISO 9001). As well as ISO 9001, TW also holds certification for Health and Safety (BS OHSAS 18001), Environmental (ISO 14001) and Energy Management (ISO 50001) systems. TW Engineering are registered on Achilles and UVDB.